What is the Physician Payments Sunshine Act of 2007? The Physician Payments Sunshine Act of 2007 is an amendment to Title XI of the Social Security Act that aims to improve accountability and transparency in healthcare. Specifically, the Act requires the disclosure of gifts and compensation given to doctors by pharmaceutical and medical supply companies. This Act is in response to the growing number of physicians that receive incentives, gifts and lucrative relationships with private sector suppliers that represents a conflict of interest that affects the level of care patient. This version of the Physician Payments Sunshine Act never became law. It was reintroduced again in 2009 and then combined into the Patient Protection and Affordable Care Act of 2010. Why is the Physician Payments Sunshine Act of 2007 necessary? Proponents of the bill note that doctors with conflicts of interest will affect a doctor’s behavior, making him more likely to prescribe a drug or treatment because he has been incentivized by a gift or cultivated relationship. This is what the backers of the Physician Payments Sunshine Act claim is part of the reason for increasing medical costs, with doctors prescribing expensive pharmaceutical drugs. It is common industry practice for these pharmaceutical companies to cultivate relationships with doctors and a significant amount of funds are allocated to enable the process. The Physician Payments Sunshine Act will not end these relationships, but will require their disclosure, so as to help the patients make better decisions about their care providers. How does the Physician Payments Sunshine Act have increased transparency? The most important provision of the Act is a database of disclosures maintained by the Secretary of Health and Human Services. The disclosures would be in electronic form and rather than just a listing of names and amounts, the physician may also disclose the purpose of the funds, such as services rendered in return for the payments. The purpose is not to ban the relationship between doctors and private companies, but rather to expose it to “sunshine” to encourage fair dealings and discourage excessive and exploitive partnerships. The law only applies to physicians and teaching hospitals. The Act would have required the disclosure of all gifts and incentive over the monetary value of $10. If the aggregate annual value of small gifts under $10 exceeds $100, then all of those gifts must also be disclosed retroactively. Failure to comply would have meant fines of at least $1,000, not exceeding $10,000, for unknowing non-compliance and $100,000 for each instance of willful “failure to comply” not exceeding $1,000,000. Acceptable exemptions would have included free samples for distribution to patients, loaning of medical devices for evaluation purposes, scholarships for medical students to attend conferences, educational material and normal rebates or discounts. What requires disclosure under the Physician Payments Sunshine Act? What are the miscellaneous provisions of the Patient Protection and Affordable Care Act? Additional provisions include requiring health plans to disclose the proportion of premium payments spent on non-medical care items and requiring hospitals to list standard chargers for all services. There are now new tracking provisions for drug samples to measure the amount distributed as well as where it is sent and if it is stolen. Nursing homes must be able to disclose their ownership, staffing data and other relevant information on patient care. This Act also takes on physician referral groups, now requiring the physician to disclose partnerships with specialists and allowing patients to see other specialists that do not have a preexisting relationship with the medical practice. This is to cut down on potential benefits doctors receive from excessively ordering tests from specialists and billing Medicare/Medicaid. How has legislation such as the Physician Payments Sunshine Act been applied? Vermont enacted its own “sunshine” law that required doctors to disclose gifts, effective 2002. Since then, the Vermont Attorney General has released data showing the total payments to physicians have decreased by 13% in seven years. The side effect however, was an increased amount of payments to nurses, who were not covered by the sunshine legislation. Nurses too, can influence prescriptions and treatments, exposing a potential loophole in the sunshine arrangements. There is the consensus however, that increased transparency in the system helps patients by defining where their doctor’s interests are and if those interests are for the benefit of the patient. Massachusetts and Minnesota have similar sunshine laws for physician reporting. The federal Sunshine Act preempts all weaker or similar state laws but does not modify stricter laws. 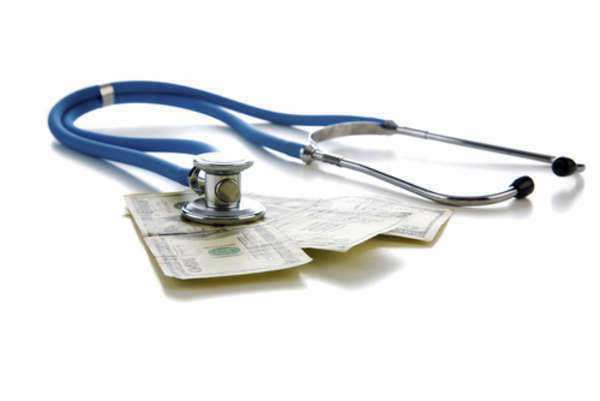 What is the current status of the Physician Payments Sunshine Act? After the Physician Payments Sunshine Act passed as part of the Patient Protection and Affordable Care Act, the Center for Medicare and Medicaid Services has been tasked with creating the rules and regulations for reporting and executing other provisions of the amended law. The deadline for this was October 1, 2011, which has passed at the time of the writing of this article. Hypothetically, after the rules are finally established, reporting will begin as early as next year (2012) with the first results available to the public around 2013. Those guidelines are not definite while the rules have not been established by CMS.